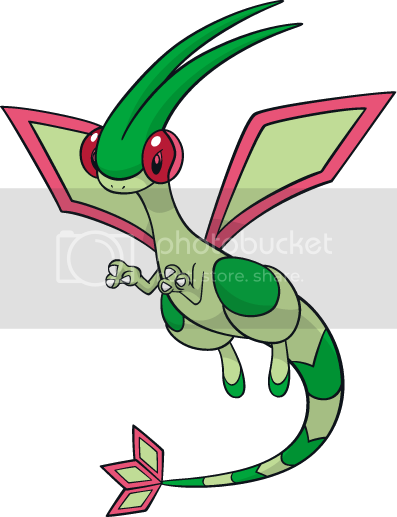 Flygon is one of my main collections. It bridges the gap between my love for dragons and my love for insects! I don't know what compelled me to collect it in the first place, but it quickly became one of my favorite collections. Flygon is kind of a popular and expensive Pokemon to collect, but it's not the worst. Still, it has gotten more popular since the time when I first started, thus any pieces of merch I am still missing are becoming increasingly difficult to get. 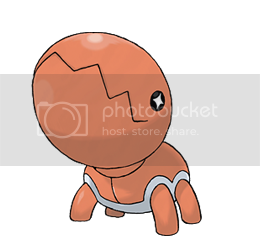 Trapinch live in arid deserts, where they create inescapable, conical pits in the sand to trap their prey. 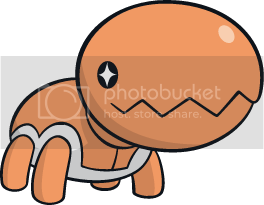 A Trapinch will wait inside its pit very patiently and can even go a week without any water. Their jaws are strong enough to crush solid rock. However, because their heads are so proportionately large, they have trouble getting up when tipped over. Vibrava have under-developed wings, so instead of being primarily used for flying, the two pairs of wings are vibrated vigorously to generate powerful ultrasonic waves. It is said they use acid to melt prey, despite not being able to learn Acid as a move. Although Vibrava are not very adept at flying long distances, they can still hover (or Levitate). 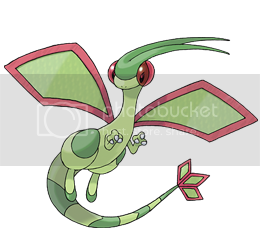 Flygon are known as "The Desert Spirits," the elemental spirits of the desert. Because their powerful wings whip up a cloud of sand when flapping, these Pokemon are usually enveloped in a sandstorm. The wings create a series of notes that sound like singing, the only thing that can be heard in a sandstorm - leading some people to call it a "desert phantom". Flygon can also use sand clouds to help prevent being detected by enemies. The red, goggles-like covers on their face shield their eyes from sand and debris. They are based off of antlions. Antlion larvae have large jaws and actually create those sand pits just like Trapinch. 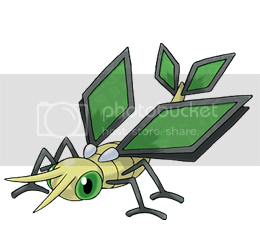 They also go though a metamorphosis which transforms them into a dragonfly-looking insect with 2 pairs of wings (they are not actual dragonflies though). please note that none of these items are for sale; their "Value" is simply listed for reference purposes only!